Learning to dance is one of life's more pleasant experiences. Unlike most subjects people study; learning, when it comes to dance, is as enjoyable as the finished product. 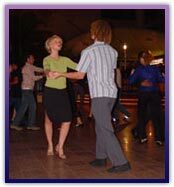 One learns to dance in the hope it will add another dimension to their lifestyle. The personal satisfaction gained by learning on a 1 on 1 basis, will give you the confidence to have that special dance on a wedding day or win that next dancesport trophy. The difference between learning in a personal lesson rather than a social class, is our professional teachers are providing personal information for your very own dancing needs. Try something different, book a personal lesson now. Personal lessons are available by appointment with the teacher of your choice. Share with a friend or a group of up to four people. For large groups, special prices can be arranged. Whether you're looking for traditional, romantic, upbeat, or funky, our highly qualified team are here to help you look fabulous on your special day! 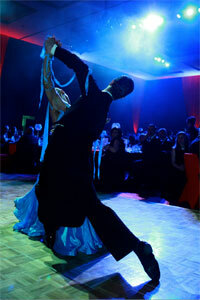 Ideal for couples who don't want a choreographed routine, but wish to learn some basic steps . . Depending on your previous experience, 2-3 lessons should have you looking and feeling confident on the day. The most popular choice with our Bridal couples. With the 5 Lesson Pack your teacher will choreograph a routine to the song of your choice, making your first official dance as Husband and Wife very special ... not to mention, thoroughly impressing family and friends! Want to achieve the "wow!" factor!!! This is the one for you! .If you're looking for something a little different, completely "out-there", or just a really polished routine, this package can be tailored to whatever you'd like to achieve for your 'Big Day' First Dance long remembered by all. For those who'd like to include Bridal Party members or others who'll be dancing on the day, an additional charge of $15 per person per session would apply. We recommend you plan to finish your lessons 1-2 weeks prior to your Wedding date. .This way you're not at risk of forgetting all that you've learnt, and still have a little time up your sleeve to squeeze in an extra lesson or two, if required. All packages are non-transferable and non-refundable. Prices quoted are in Australian dollars and include GST. New York Ballroom has a reputation Australia wide of producing top quality dancesport couples in three styles from juvenile competitors, to professional champions. Our coaches and competitors have won many Queensland and Australian championships and the constant updating of technique will continue to produce the very best. New York Ballroom offers practice classes, lectures, and regular visits from interstate coaches, so that our team has the best chance of achieving their goals.